Vehicle detector / ultrasonic - CE-UO* - SHENZHEN SENSOR ELECTRONIC TECHNOLOGY Co., LTD. 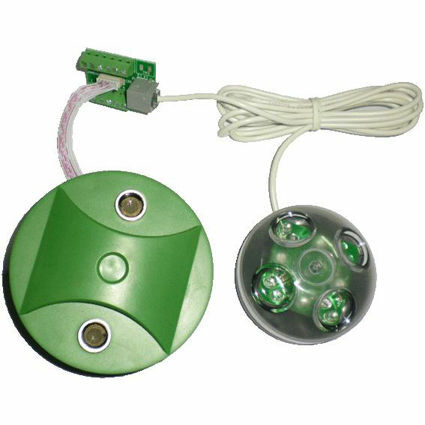 Detection - Measurement > Optical and Acoustic Measurements > Vehicle detector > SHENZHEN SENSOR ELECTRONIC TECHNOLOGY Co., LTD. Stand: SHENZHEN SENSOR ELECTRONIC TECHNOLOGY Co., LTD.
CE-UO* SHENZHEN SENSOR ELECTRONIC TECHNOLOGY Co., LTD. This device can detect vehicles based on the difference in arrival time of the waves reflected from vehicles and roads surface by transmitting ultrasonic wave towards roadways. It can be installed on ceiling in shipping malls and other public parking lots.